Recognizing employee contributions to business success is a crucial component of good management. But, that does not mean it is easy to do. 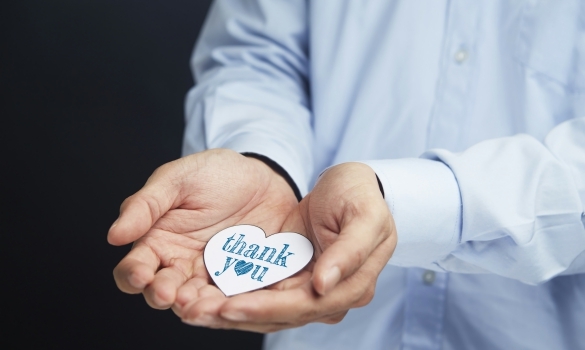 Finding the right ways to say thank you to employees is not always as easy as it sounds. Buying employee gifts requires you to know what your employees like, as well as knowing what the hot trending accessories and gadgets of the moment are. Thankfully, there are posts like this one to help make your job of selecting the best gift for employees quite a bit easier. Learn all about the top employee gift ideas that all workers go wild for in the post below. This way, you can do what motivational speakers do with half the work for half the cost. Spa gift cards are one of the best employee appreciation gifts to buy in bulk. Working professionals are always stressed. It is just a part of the corporate career lifestyle. Why not help ease those employee tensions with a spa gift card? There are even spa gift cards that can be used at thousands of different spas all across the country. This is the best gift to show employees you appreciate all the hard work they put into their jobs. It lets them know that you are aware of all the emotional turmoil they take on to help the business reach its goals. Employees are sure to love spa gift cards that allow them a day of pampering and relaxation. Consider this idea when you are trying to buy your own gift for employees. Tote bags are some of the most affordable employee gifts you can give. Or, if you want to spend a bit more recognizing employees, you can even stuff the bag with additional swag and goodies. A tote bag is a great employee gift because everyone can use one, whether they use it as a work tote or a reusable grocery bag. Employee tote bags can also be personalized for each worker. Or, you can choose to buy branded tote bags with your business logo. There are a million great possibilities available when buying tote bags as employee gifts. Keep this in mind when deciding what to gift employees you manage. This way, you can get back to using your product management tools much sooner. Mug warmers are one of the most useful employee gifts to show your employee appreciation. Every corporate worker is familiar with the disappointment of reaching to take a sip of your coffee, only to find it cold and unappetizing. Mug warmers will keep employees’ coffee and assorted hot beverages warm throughout the morning. This way, they do not have to keep getting up to reheat cold coffee. Not only will employees appreciate this type of office gift. It may even benefit business performance by making employees more productive. That is definitely a win/win for all involved. If you want to give a gift that goes both ways, buy mug warms as employee appreciation prizes. Gift cards for food delivery services, like Seamless or GrubHub, are another excellent gift to show employees you care. Nowadays, almost everyone orders takeout at least once a week. This is particularly true of young professionals. Gifting employees food delivery service gift cards allows them to indulge without dipping into their paycheck, even if they just choose to order something cheap from the McDonalds menu. That will make them appreciate working at your company even more than they already do. Who can turn down a free meal? If your team loves to eat, the best gift for employees you can give is a food delivery gift card. Of course, the ultimate gift you can give employees is additional paid time off. There is not a worker in the world who would ever complain about an extra day off the clock. Of course, this may not be feasible for some organizations. However, this gift constantly tops the list of employee appreciation gifts that employees actually want. There is no better way to recognize how hard your employees work than to give them an extra day’s rest to spend time with their family and friends. If you are able to, employees will consider you the best manager ever if you choose to give them this gift for employees. Recognizing employees is key to creating a pleasant work environment and corporate culture. But, it is sort of difficult to pick out unique employee gift ideas that workers actually want to get. Every good employee gift idea has been done over a million and one different times. Workers are sick of the same old corporate gifts. Use this post to pick a gift for employees. The employee appreciation gift ideas detailed above are some of the top gifts employees want to receive. Giving these employee gifts away is sure to boost team morale and improve their impressions of you as manager. Everyone can benefit from a little gift giving, so make sure you take the time to give the best employee gifts that your team will love.